The McLaren 675LT, which made its global debut today at the 85th International Geneva Motor Show, will be the lightest, most powerful and fastest model in the McLaren Super Series, and also the most exclusive: production will be strictly limited to just 500 examples worldwide. The limited production model has a clear focus on light weight, optimised aerodynamics, increased power, track-focused dynamics and driver engagement. At its core is the lightweight carbon fibre MonoCell chassis, shared with each model in the Super Series, but the chassis set up and powertrain are bespoke, with a third of overall parts and components modified. A more aggressive set up gives the 675LT a unique track-focused feel, while still retaining the adjustable ProActive Chassis Control to ensure drivability and comfort levels are maintained. One of the many updates featured on the 1997 McLaren F1 GTR ‘Longtail’ was a wider track, front and rear. This approach is echoed in the 675LT, with the front and rear track widened by 20mm, ensuring optimised stability and handling performance. Lightweight springs front and rear have been stiffened – 27 percent at the front and 63 percent at the rear – to improve body control and allow for the 40 percent increase in downforce generated by the revised bodywork and active aerodynamics. Newly-developed suspension geometry includes lightweight uprights and wishbones based on the learnings from the McLaren P1™. This is coupled with a faster steering rack to give a more extreme driver-focused experience. 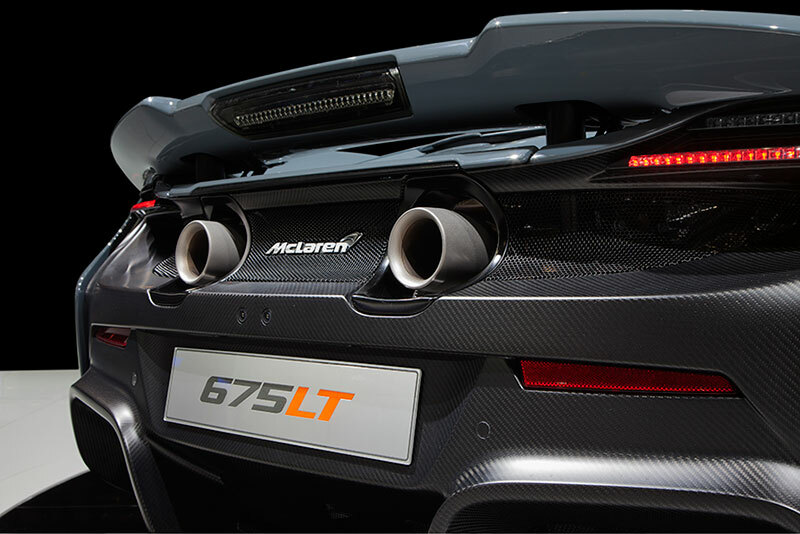 The 675LT uses the familiar seven-speed SSG transmission found in the other Super Series models, retaining the Normal, Sport or Track modes. These settings have been recalibrated to produce more eager performance, with optimised throttle response and gearshifts up to twice as fast as previously offered. The newly developed ‘Ignition Cut’ technology is a technique adopted from Formula 1™ which sees a momentary cut of the fuel spark on gearshift. This delivers the fastest change possible, and is accompanied by a dramatic aural ‘crack’ on both upshift and downshift. Also debuting on the 675LT is an all-new Electronic Stability Control (ESC) calibration, giving the driver an even greater level of control over the throttle and brake inputs. 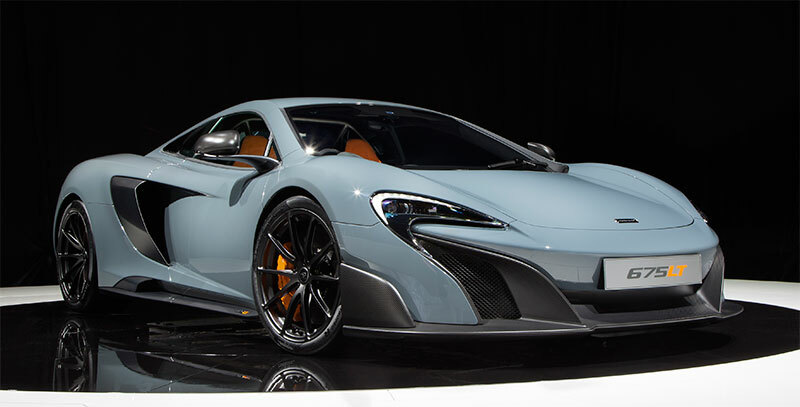 The limited edition McLaren 675LT is available to order from all McLaren Retailers, priced from £259,500. Deliveries will commence from July 2015.